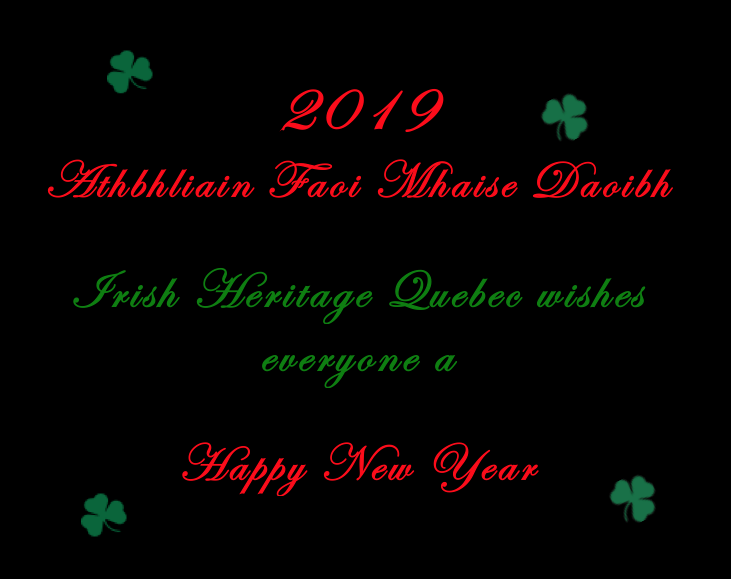 ☘☘☘ Monday January 14 at 19:30 – Irish Heritage Quebec will hold an activity in McMahon Hall, 1145 de Salaberry in Quebec City. 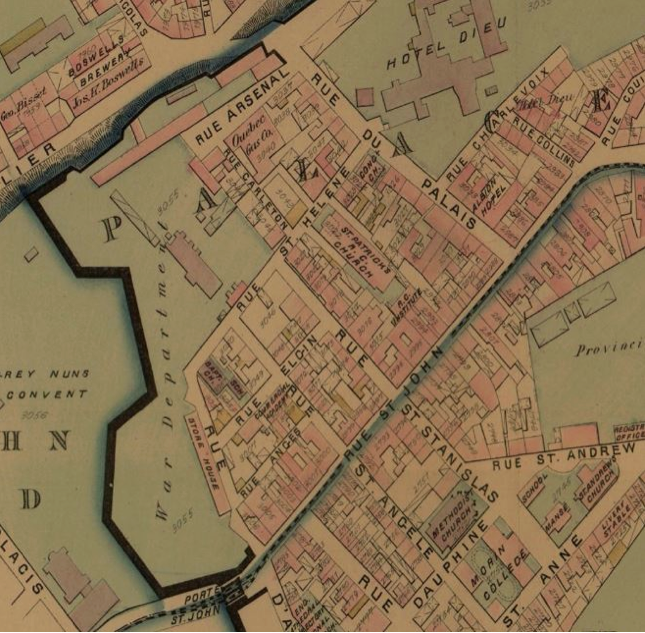 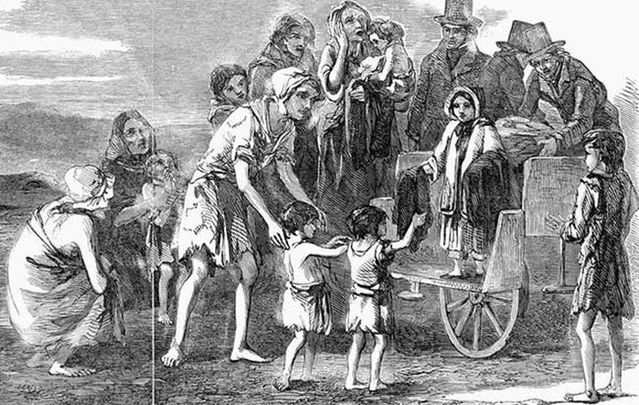 Joe Lonergan will give a presentation entitled St. Patrick’s Church — A History of the Congregation of Catholics of Quebec City speaking the English language and Where They Worshipped. 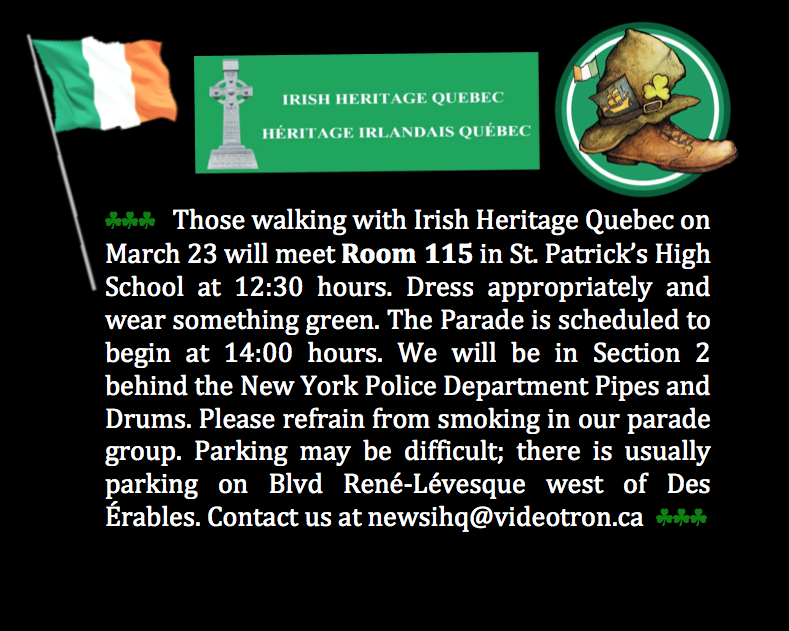 Refreshments will be served and parking stubs for Îlot St-Patrick will be validated. 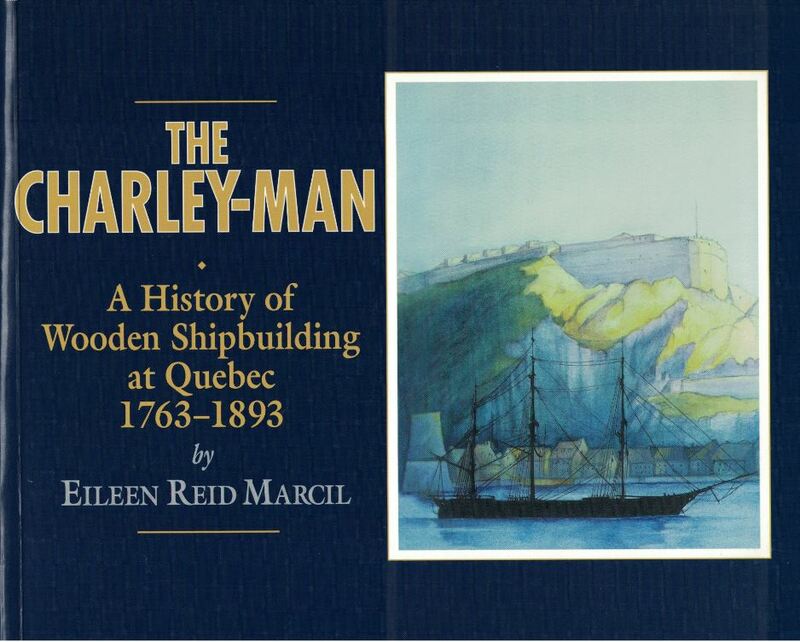 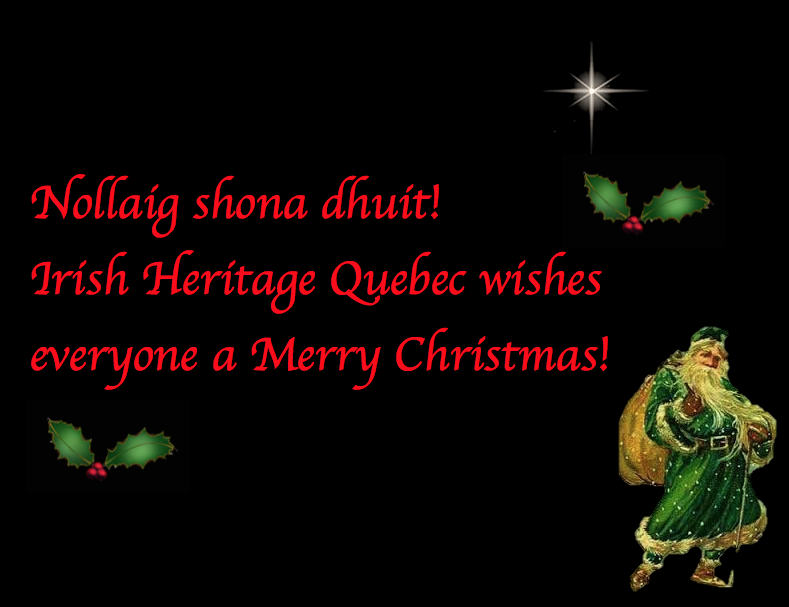 For more information phone Irish Heritage Quebec at 418-704-3404.